The Scoreboard Man has worked hard to bring great result to their clients. With more than 80 years experience in the scoreboard business, The Scoreboard Man is able to get an understanding of their client’s needs for their facility, finding the perfect solution for their scoreboard and scoreboard accessories. From contemplation to completion, we work with planners, designers, architects, project managers and engineers to assist with the scoreboard, video display and/or message centre plans. The Scoreboard man can service existing Nevco Scoreboard and Display equipment that is out in the field and is in need of a service call for repairs or analysis. We also offer support on all major projects. Nevco and The Scoreboard Man are available for training and game support where required. 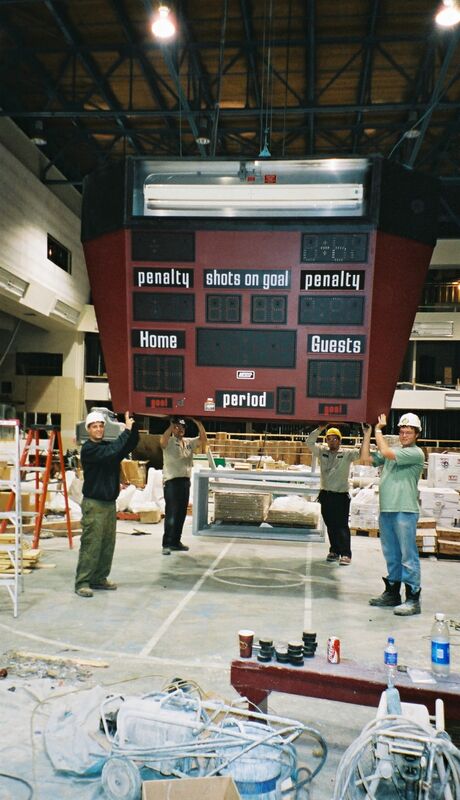 We can convert your existing Nevco Scoreboard to wireless quickly and effortlessly.